Train hard, train smart with the Corrective Optical Goggle. The LGOPT provides crystal clear vision and is an excellent alternative to contacts. Perfect for training and recreation. My 12 yr old had a hard time seeing what the instructor was doing and these help her to see in and out of the pool. They are GREAT!! No fogging and fit well. 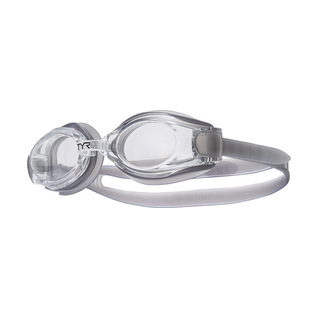 I've been using Swim2000 for prescription swim goggles for my son for a few years. Very happy with the quality and price. 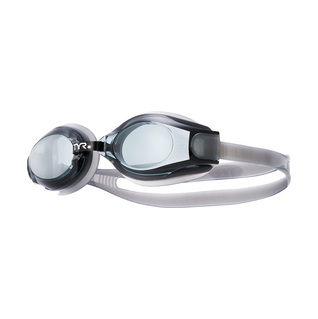 These are very comfortable and easily adjustable swim goggles. Although I haven't tried them in the water yet, I put them on at my desk and the vision correction is surprisingly good. Can't wait to try them in the water! I am waiting for goggles which are truly anti-fog for a 1 hour swim. still wear hind compy foam gasket goggles in pool races but these are my go to for open water races as they are reasonably priced, soft comfortable gasket (that I've swam 10ks without them sucking my face off), and potentially you could buy two and mix and match the prescriptions (mine are close enough, I don't bother). A joy to swim and see at the same time. Wish I had purchased these goggles years ago. Never leak. 1 year of use 3x/week. Minor pressure point on bridge of nose. I've been swimming regularly for 32 years, 15 of them with contacts. Once I could no longer use contacts, I was swimming blind! But prescription goggles were simply too expensive. These Tyr goggles fit the bill perfectly! It's like coming into the light out of the dark! Thank you for this excellent, (finally) affordable product. As an AG triathlete of 60+ with very Bad eye site -8 diopter I found these goggles to be the best I have tried, the fit is great as is the comfort, I swim 3 to 4 times a week and each pair seem to last between a year to 16 months before they get to beat up and need replacing. I have tried other types but keep coming back to the TYR Opticals. If you need glasses to see then these are the ticket. I am lost without my corrective swim goggles, having terrible eyesight for most of my life. I am a lap swimmer and enjoy being able to see how many other people are in the pool, being able to read the time on the clock at the end of the room, being able to see the floor of the pool. Without my corrective goggles, it's all a blur. The TYR corrective goggles are far superior to any of the Speedo corrective goggles I have had. The latest Speedo corrective goggles I have bought fogged up so badly and so quickly that I might have well just worn regular goggles. I couldn't see anything! I have been wearing my newest pair of TYRs and they are still crisp and clear through my entire swim, every day. They are comfortable and absolutely do not leak. The Speedos leaked, and were hard to adjust. The Speedo headstrap was too short for my big head. My TYR swimsuits work much better for me, too, than any Speedo I have ever tried to manage. Thanks, TYR! A bit more expensive than Speedo Optical, but we changed brand to TYR because the Speedo optical goggles kept breaking at the junction between the goggle eyepiece and the nose joint. Too early to tell. The Speedo goggles lasted about 2 months before breaking - we're looking to get a longer life out of the TYR goggles. Better visibility w/TYR goggle. Replaced head strap w/bungee - the thick strap seems to slip more. Did not know these were available. Much better than fooling with contacts. It is also a pleasure when your goggles are not scratched. If you have a prescription, you must try these. For any child with visual problems - this is a must! We've been purchasing these goggles for 4 years. My son is on the swim team and is now getting first place ribbons instead of 4th because he's not afraid of hitting the wall and can see the competition. He can see everything clearly. These have given him great confidence and for such a low price it's definately a great buy! This potical goggles work very well. It is anti-frog, too. Great seal, adjustment, comfort and durability! Must have for near-sighted swimmers. I started using these a decade ago when my youngest daughter nearly drowned within my arms reach in a life-guarded, uncrowded pool because I could not see her!! Before using these, I was afraid to swim because I couldn't see! Now, I LOVE swimming! !